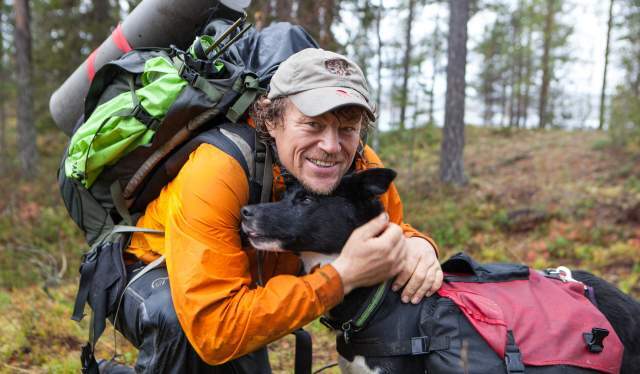 From 12 July you can follow Norway&apos;s uncrowned King of the outdoors, Lars Monsen, during four weeks thanks to live TV broadcasts from the Norwegian mountains. 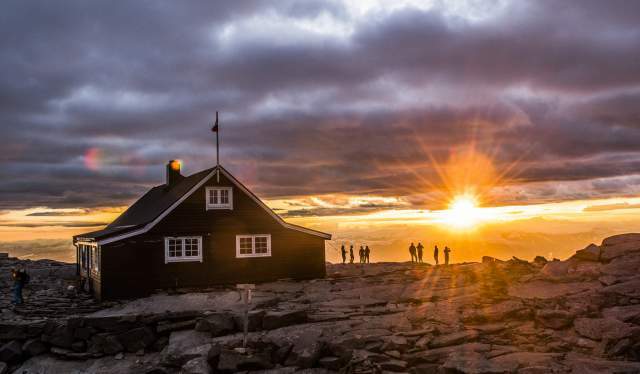 The broadcasts are the latest in a long line of slow TV projects on the state-operated channel NRK, and you can follow Monsen minute by minute during four weeklong trips on the Hardangervidda plateau, Jotunheimen, Vesterålen and Indre Troms, respectively. "We&apos;re going to do two things. One is to make &apos;Monsen minute by minute&apos;, where the objective is to broadcast hiking trips in the mountains live on TV between 11:00 am and 4:00 pm, five days a week. The other part of the project takes place in the evening when we broadcast the live TV program &apos;Sommeråpent&apos; (i.e. 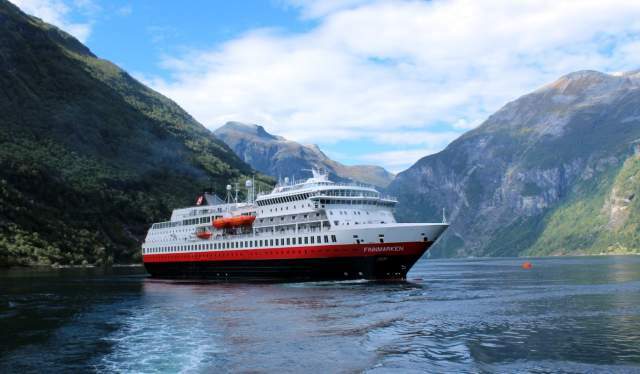 Open for the Summer) featuring guests and entertainment," says NRK project manager, Thomas Hellum, to Visit Norway. Parts of the evening broadcasts will be shown live from Monsen&apos;s current location and parts will be beamed up from a place nearby that is more accessible. "I really hope there will be an exodus. 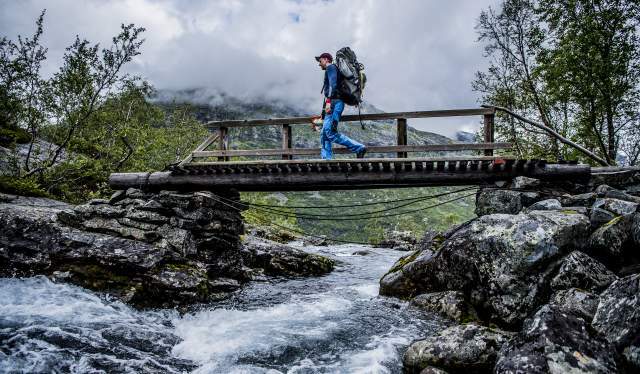 Because all of this, the great Norwegian outdoors, really is at the core of Norwegian values. Now we get to show ourselves and the rest of the world that this is our culture; it is one of the most important things we do, we who call Norway our home," says Lars Monsen to NRK. Monsen believes that the TV broadcast will give people a good idea of what it means to enjoy outdoor life in Norway, such as how long it actually takes to light a campfire. He is also committed to conveying respect for nature, and he wants everyone to be aware of how they can avoid wear and tear on the terrain when so many people set out on a hike at the same time. "There are four amazing areas we will hike through, and there is beautiful nature in all of them. I look forward to seeing others having a nice time out hiking," says Monsen. "Norwegian nature is open to everyone, but both the DNT and we at NRK want to emphasize in clear terms that anyone who does the hike is responsible for themselves," he says. The daily stages are between 10 and 15 kilometres long, and you will need to arrange your own transportation to and from the starting and stopping points as distances can be significant. You also have to assume that it can be crowded, and there is a chance you might be on TV. The DNT has made a set of minute-by-minute rules, which among other things entails that you must familiarise yourself with the route you will be hiking, and that you need to bring food, all-weather clothing, your own tent and other necessary equipment if you want to stay overnight because the cabins where Monsen will stop at will be fully booked while he is there. 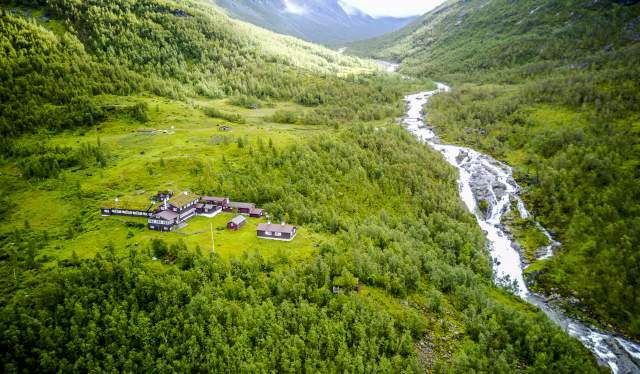 A lot of logistical issues must be in order to do a successful live broadcast from a mobile TV studio in the Norwegian mountains, and the production team has appealed to the Norwegian spirit of volunteering to make the Slow TV broadcasts a reality. A total of 400 volunteers will help out with carrying equipment, rigging and clearing out camp sites, sanitation and food preparation. "We'll be doing live broadcasts from locations where there is normally not much Internet access or mobile signals, and that is a demanding way to make a TV series. To make it possible, we must create a chain of radio transmitters that send signals from peak to peak, and which provide coverage along the routes we'll be hiking," says Hellum. The radio transmitters and all of the sound and camera equipment run on batteries, and must withstand the rain, wind and cold, i.e., typical Norwegian summer weather in the mountains," he explains. "They are carried in backpacks, and there are real people who will move them to a new mountain top every day and thereby ensure coverage along our planned route," says the project manager. Along with the team that will accompany Monsen is a specially designed backpack that is the heart of the entire broadcast. The backpack weighs 26 kilos and will be worn in shifts by four strong NRK staff members. "It contains the equipment that allows us to switch between five different cameras, and there's a TV screen on the back of the backpack where the producer can instantly see which images are available," says Hellum. Equipped with a small, hand-held wireless mixer, the producer can determine which image you'll see at home in your living room. "Monsen minute by minute" takes over the baton following a long series of Slow TV successes on NRK. Everything from the minute-by-minute broadcasts along the Bergensbanen railway, Hurtigruten (Norway's Coastal Express), the Flåmsbanen railway, Telemarkskanalen (the Telemark Cana) and Saltstraumen (the world's strongest maelstrom) to programs about the Gaula salmon river, reindeer trekking in Finnmark, knitting and hymn singing, have got Norwegians to park themselves in front of the TV screen. They must include great stories about something many viewers can identify with. The program must also maintain good quality and be shown in prime time so the content is perceived as important and a high priority. The fact that many people are focused on it at the same time helps to evoke a communal feeling, and all the elements combine to become a great and unifying event. "Many stories can be told the slow way, and for us, it is important to achieve an uninterrupted minute by minute timeline. This is not a process where the producers get to pick out the highlights. Most likely, nothing special will happen along the way, but something might happen, and that's what makes it exciting," concludes Hellum. 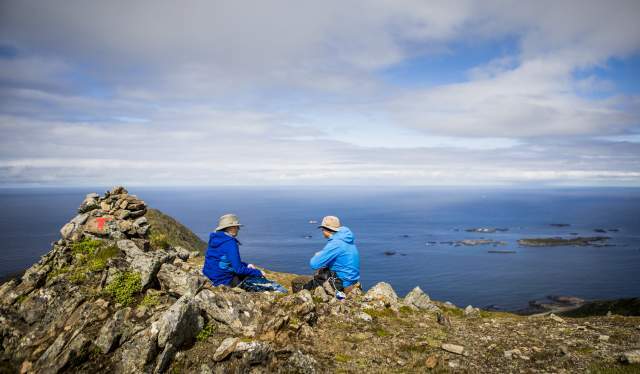 If you watch Monsen on TV this summer, you can check out such places as Nordmannslepa, Utladalen, Dronningruta in Vesterålen and the Arctic borderlands in the Cap of the North.